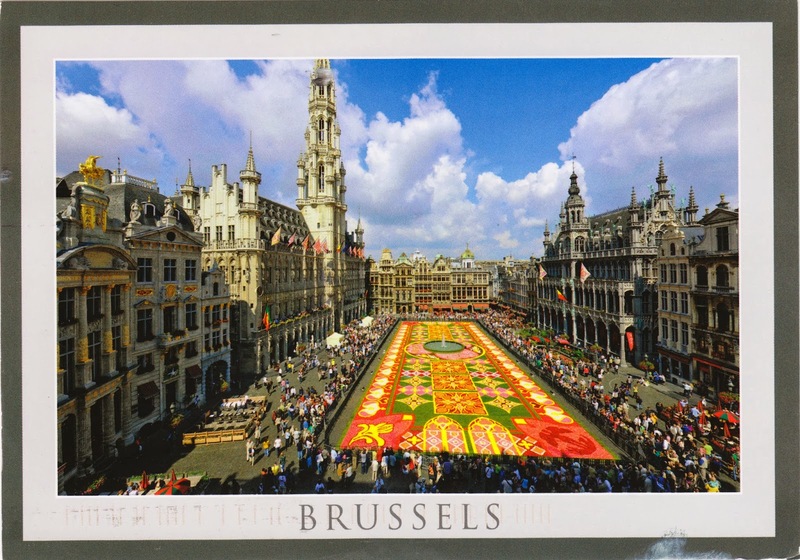 Postcard BE-230026 from Belgium shows the Flower Carpet in 2010 at the Grand Place, central square of Brussels. The Grand Place is surrounded by guildhalls, the city's Town Hall, and the Breadhouse. It was listed as a UNESCO World Heritage Site in 1998. 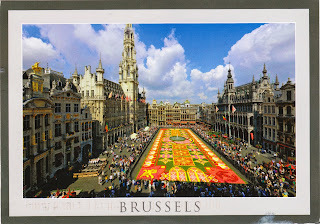 The Flower Carpet on the Grand Place in its present-day form was first created in 1971 by the landscape architect E. Stautemans, You can watch a YouTube video to see how the 2010 Flower Carpet was made. You can find more information about the Flower Carpet from their website online. 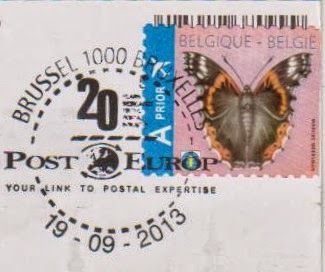 The postcard also bears a beautiful postmark.